-Permanent Lease on Marina Berth at Vaiare Marina available (very hard to get)! 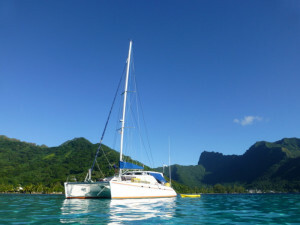 Yum-Yum is privately owned Leopard 47 that has been cruising in the South Pacific paradises of French Polynesia since 2013. 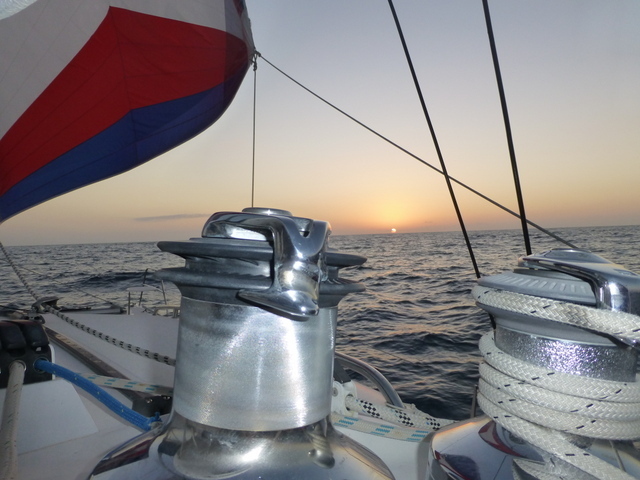 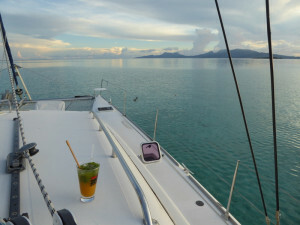 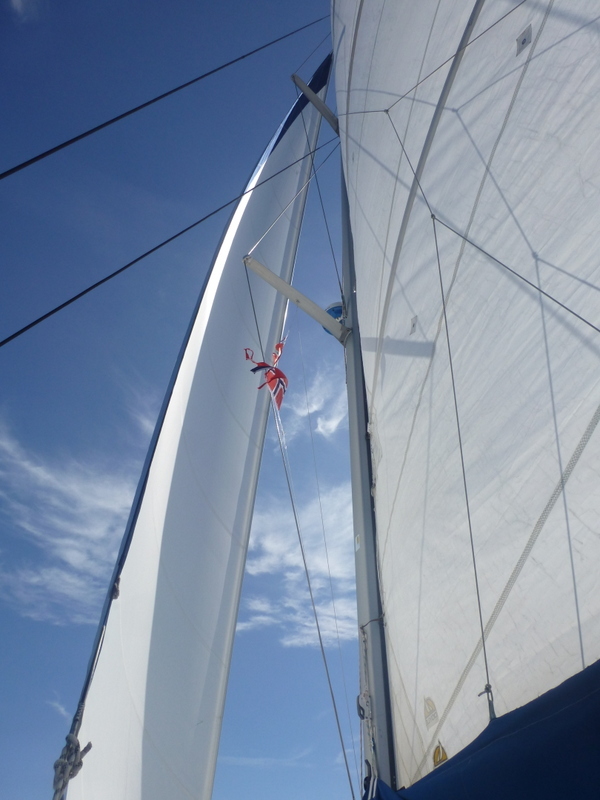 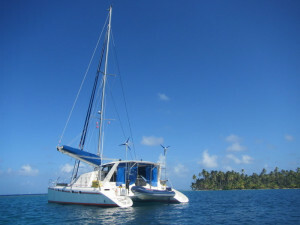 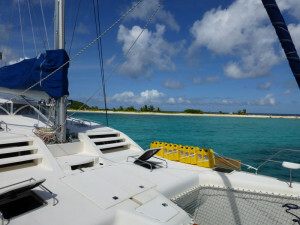 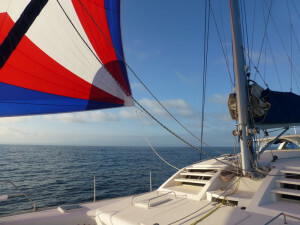 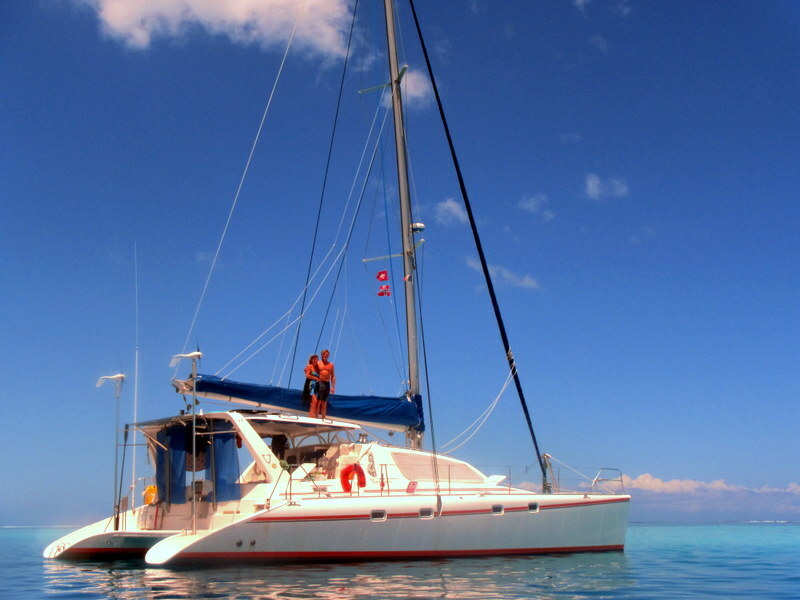 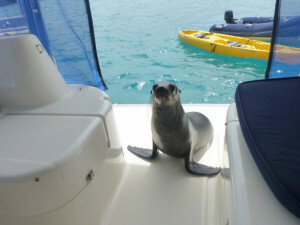 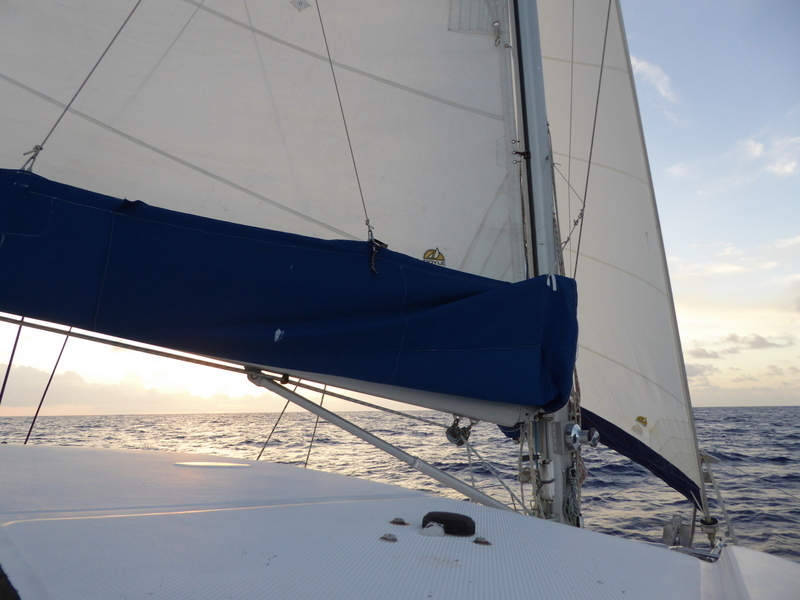 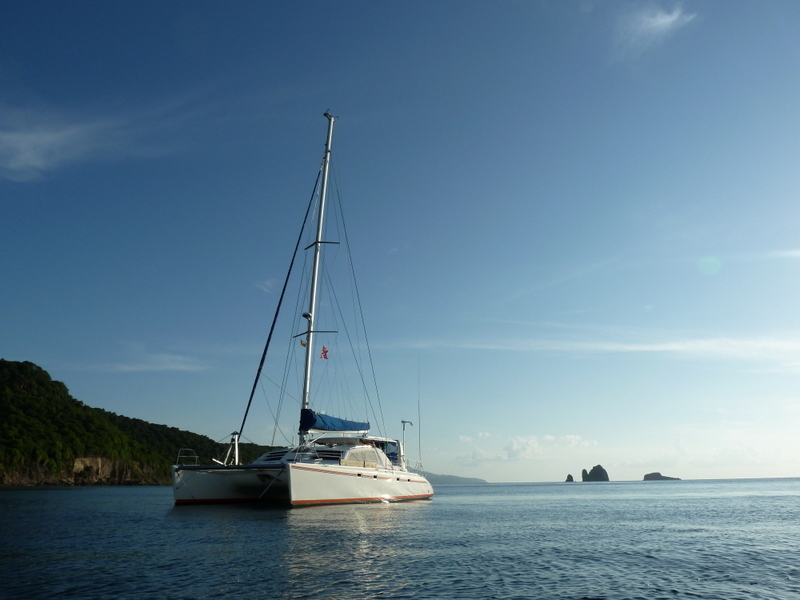 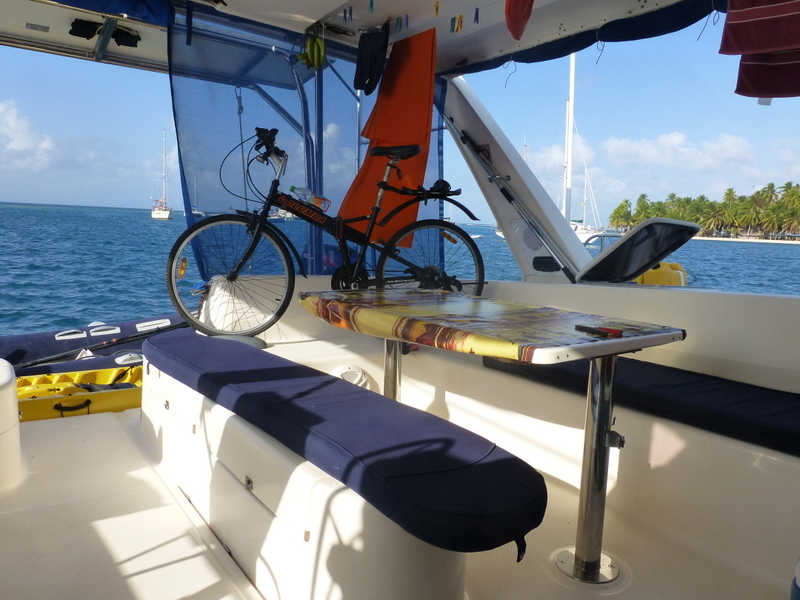 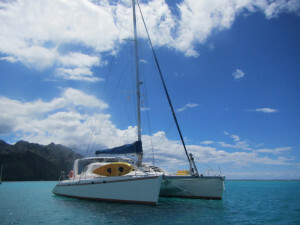 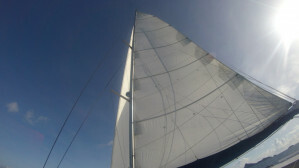 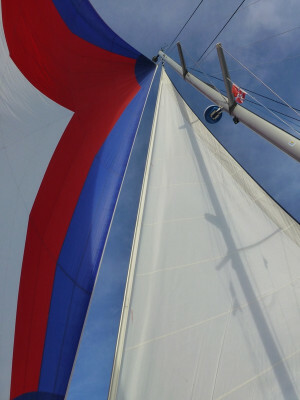 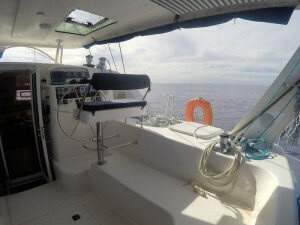 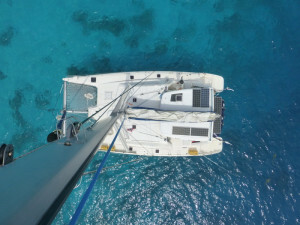 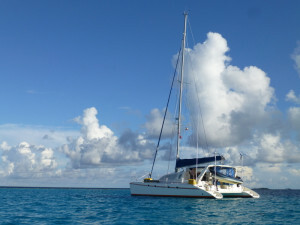 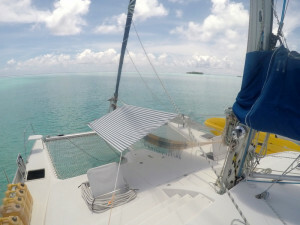 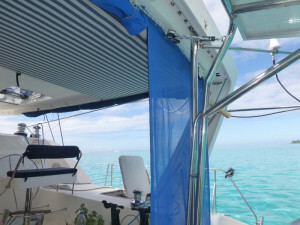 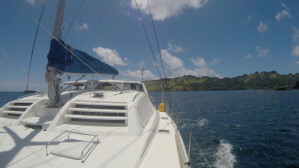 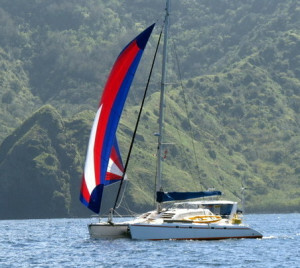 The owner couple have lived permanently on board after buying her in the Caribbean in 2011. 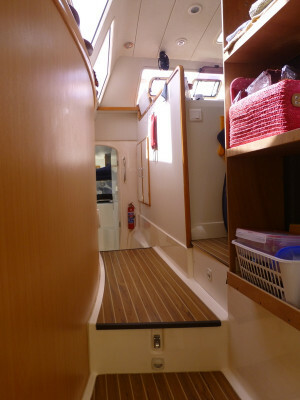 The previous owner had done an extensive refitting of the boat prior to the sale. 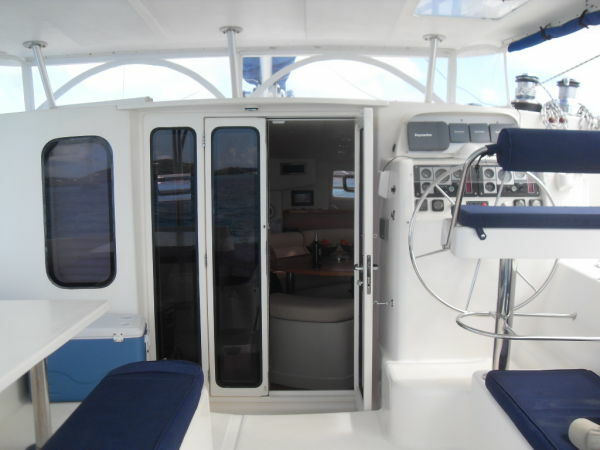 The current owners have carefully enjoyed this investment, and further equipped the boat for offshore and remote areas cruising. This leopard 47 was originally spec'ed for, and spent five years in the crewed-only (no bareboat) charter trade in the BVI. 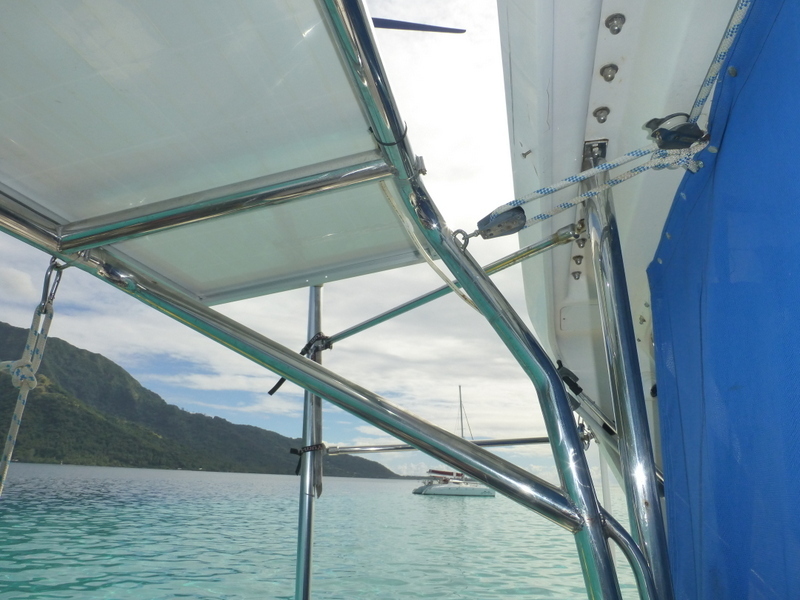 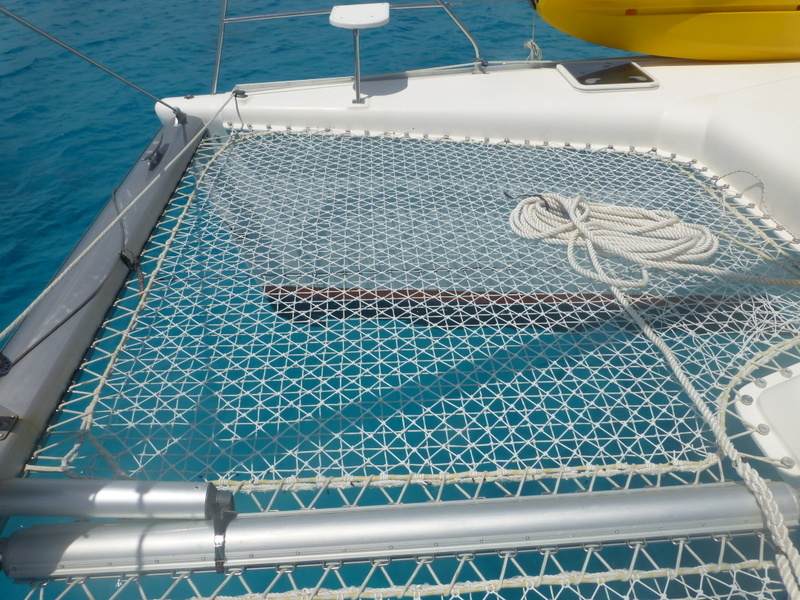 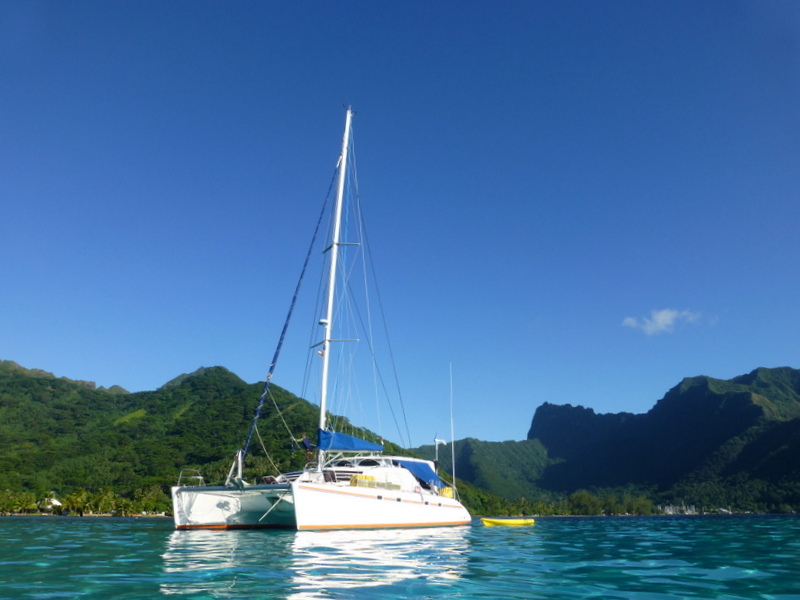 Compared to other similar boats on the market, she presents herself as a well equipped, well maintained and clean yacht, ready to enjoy in Tahiti or to continue safely and comfortably cruising with you. Yum-Yum sports DOYLE sails: Genoa (2012), main sail, Gennaker (2010), bowsprit, a factory-made hard-top Bimini, electric primary winch at helm, solar panels, renewed deck hatches through, new salon window screens, and more canvas work in progress. 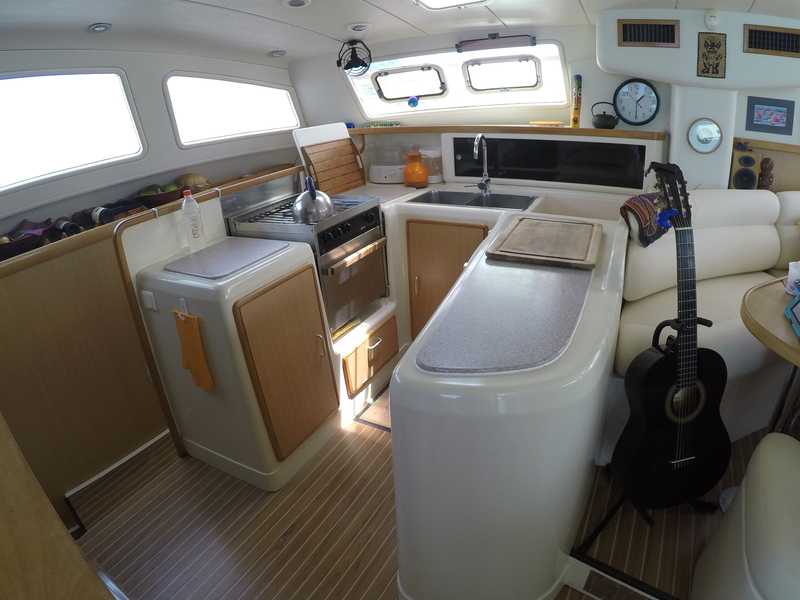 Her interior is i superior condition and full of premium amenities and equipment: professionally remade salon upholstery, a 9Kwa ONAN generator, full air-conditioning, two fridges and a freezer, a Splendid mobile home washer/dryer. 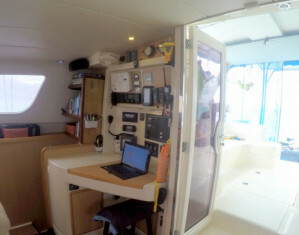 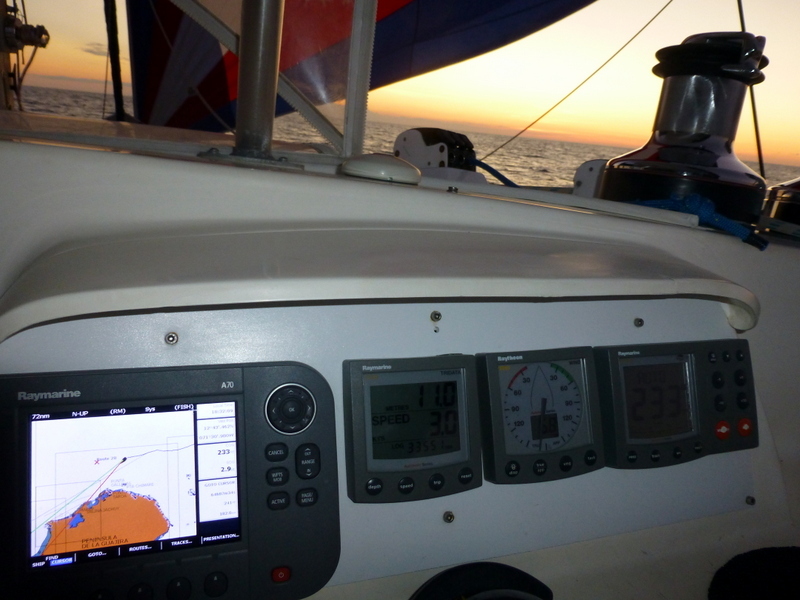 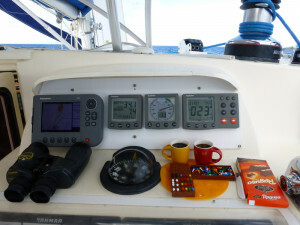 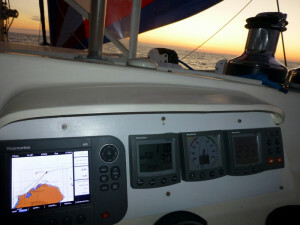 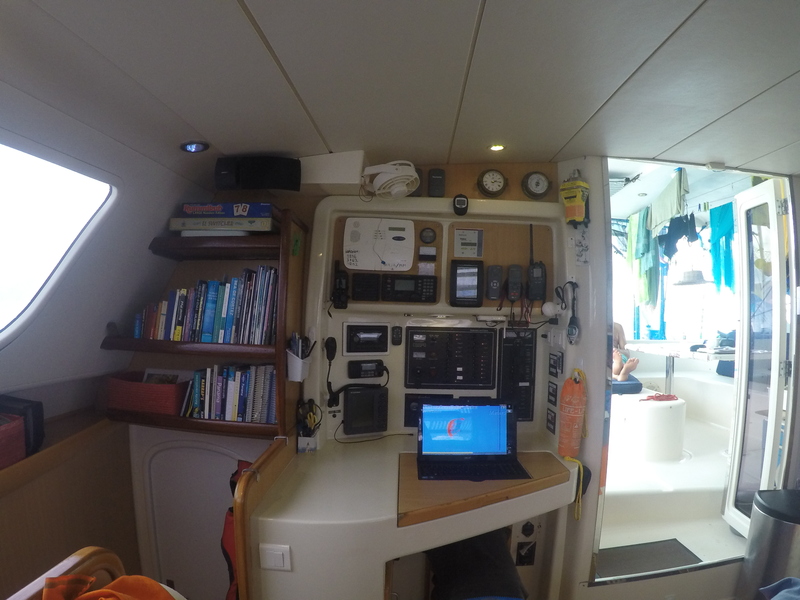 Her complete electronics package is recent and includes Furuno radar, SSB radio, and AIS (send and receive). 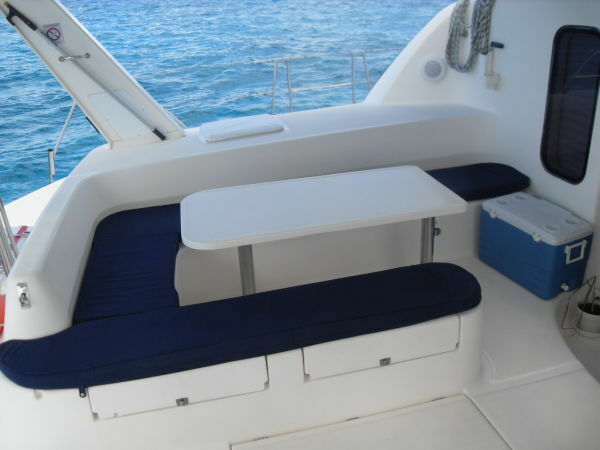 The boat is also equipped with state of the art WIFI networking for on-board systems when at sea, which also adapts to land-based internet providers through a powerful booster when closer to shore and using land based internet providers. An 11' alloy RIB dinghy with covers and outward engine round-out this turn-key yacht. This Leopard 47 would be a preferred option for any buyer who can appreciate direct access to the South Pacific paradises, and more so for someone who would make French Polynesia their cruising base. 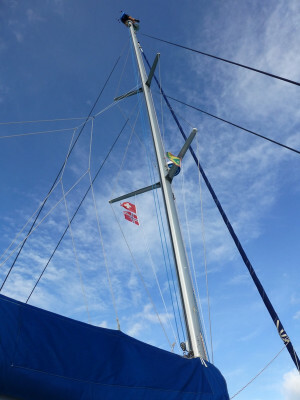 The very reasonably priced Flag option has been checked out, but will be the next owner's choice to make. 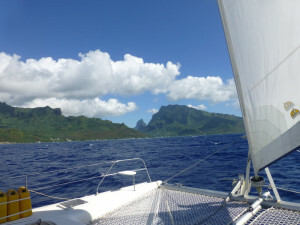 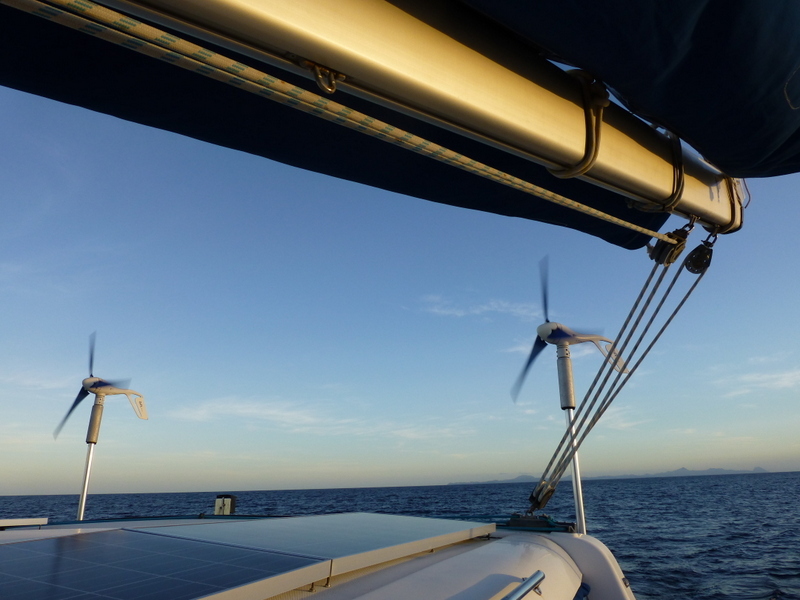 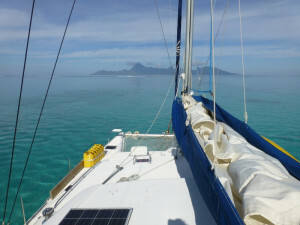 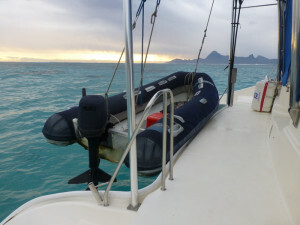 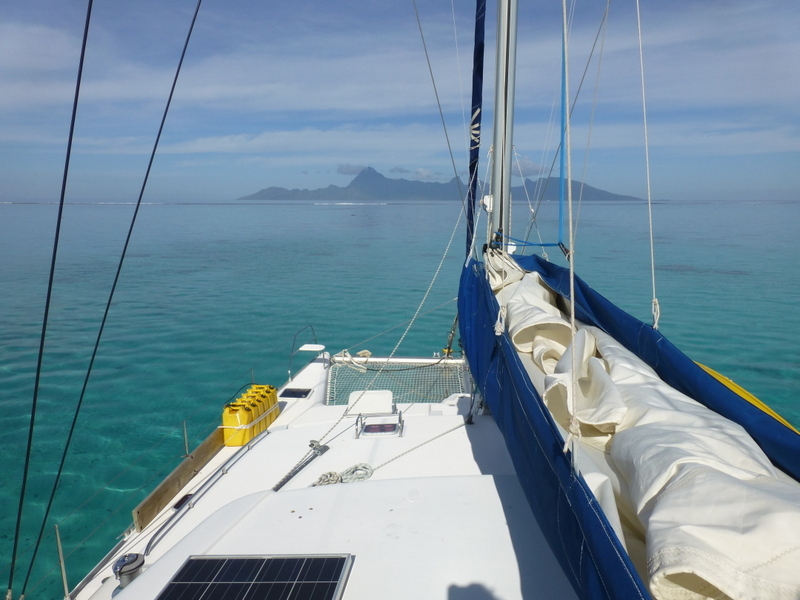 The current three-years-instantly-renewable boat visitor permit is also available as a good option for cruisers who would re-enter French Polynesia between travels. 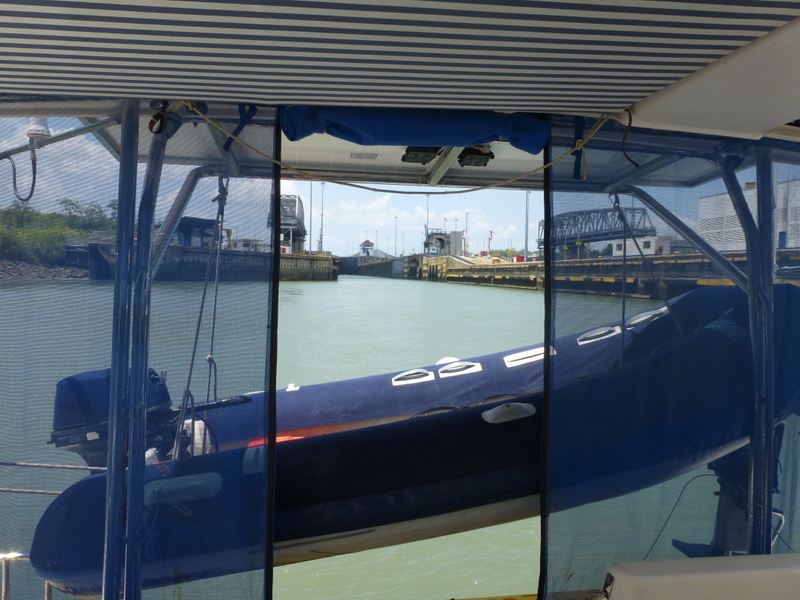 To top things up, the current owners have secured the lease of a hard-to-get permanent berth in the Vaiare Marina, which would be passed on to the new owners if they wish. 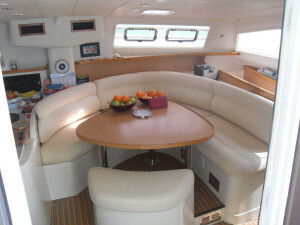 For more info or to arrange for an inspection please contact our Friendly Team at Nautilus Yacht Management. 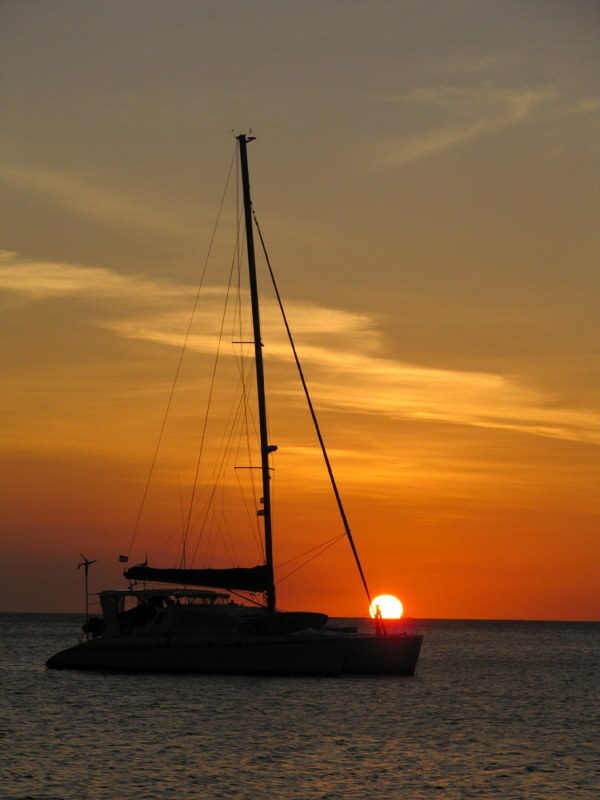 We are a boutique agency and Cruising Yachts specialists who can assist with all the logistics of purchasing a yacht abroad, including the logistics of your travel and inspection, surveying, registering and insuring your new vessel. Ensuring that purchasing the yacht of your dreams is enjoyable and stress-free every step of the way is our priority. 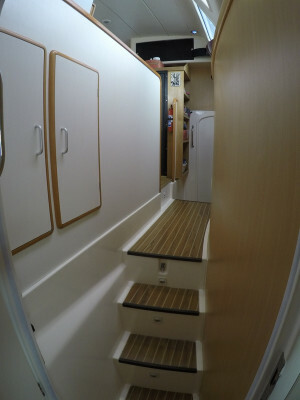 This Leopard 47 is a 4 cabin / 4 bathroom version. 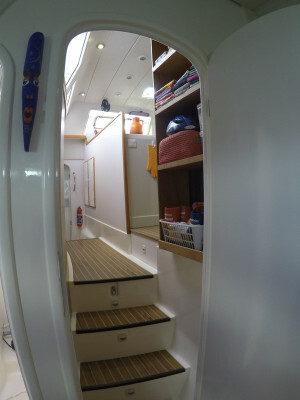 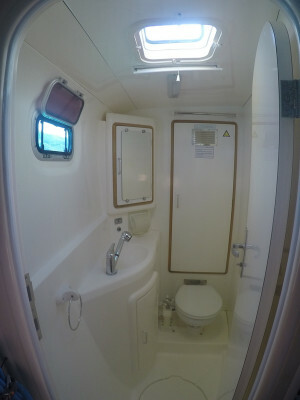 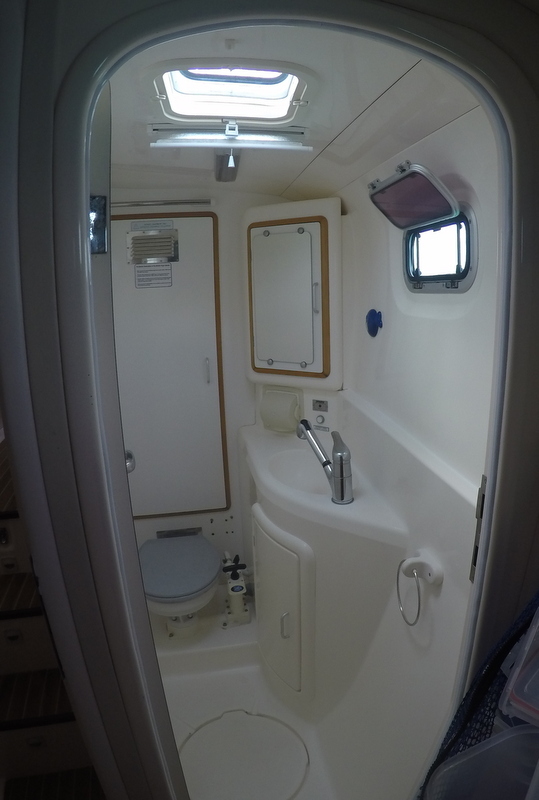 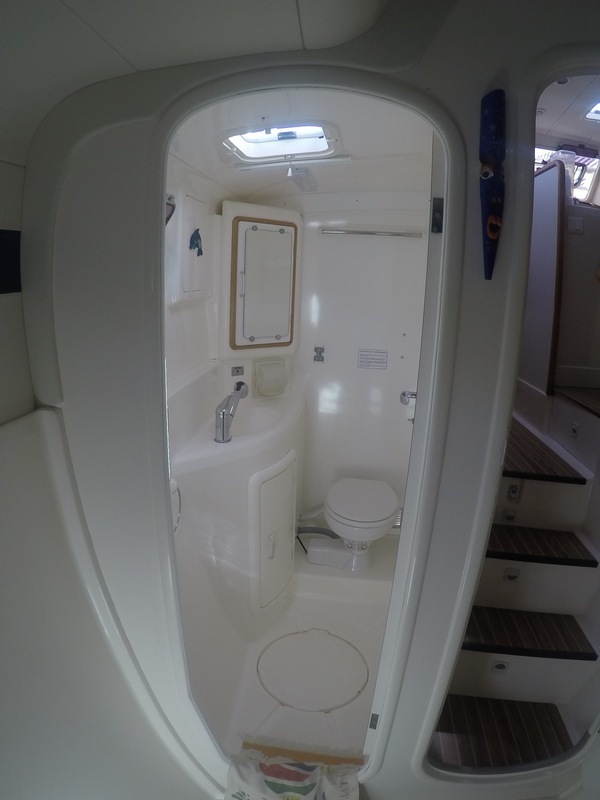 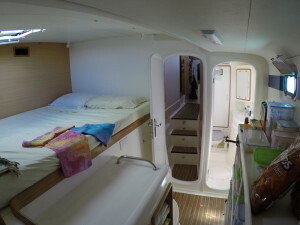 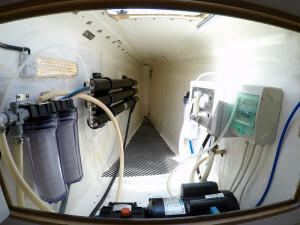 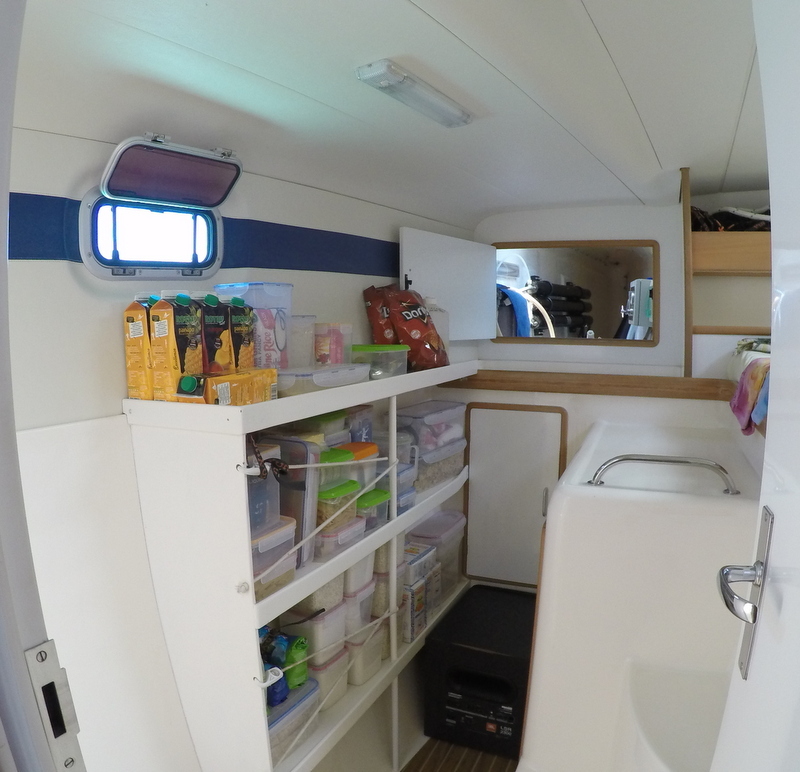 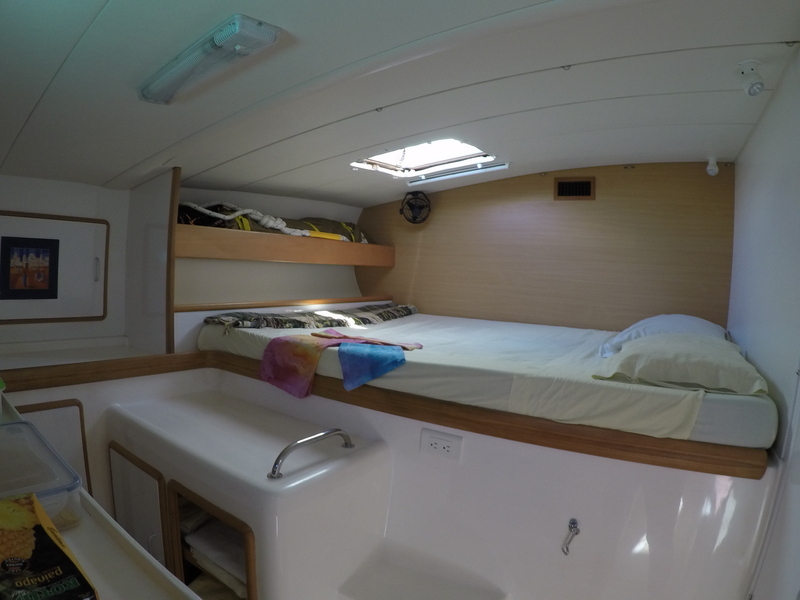 Each cabin is fitted out with a very large queen size berth (4ft 7inch/1.4m x 6ft 7inch/2.0m), plenty of storage including hanging lockers with shelving, courtesy lights, individual reading lights, roller blinds for privacy, full length mirrors, seating, large open shelves and individual fans. The cabins are serviced with an independent air-conditioning system, which runs independently from the saloon and have their now controls. As with the rest of the yacht, the finishing is outstanding, with Beech timber veneer, top quality fixtures and hardware, and presents in lovely condition. 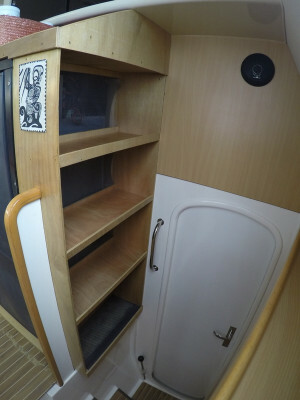 -Hanging lockers with shelving Reading lamps. 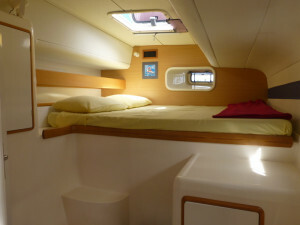 -Overhead roller blinds for privacy in each cabin. -Ventilation fans Full length mirrors on back of cabin doors. 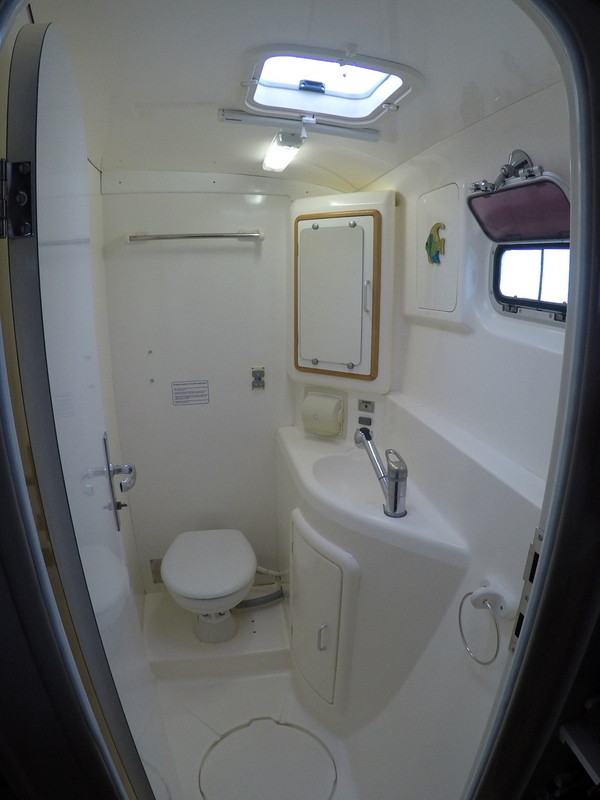 -4 bathrooms with Jabsco heads (2 X electrics and 2 X manual), and 4 large, recessed showers with hot and cold pressurised water. There are two holding tanks. -Single lever faucet c/w pull-out hose. 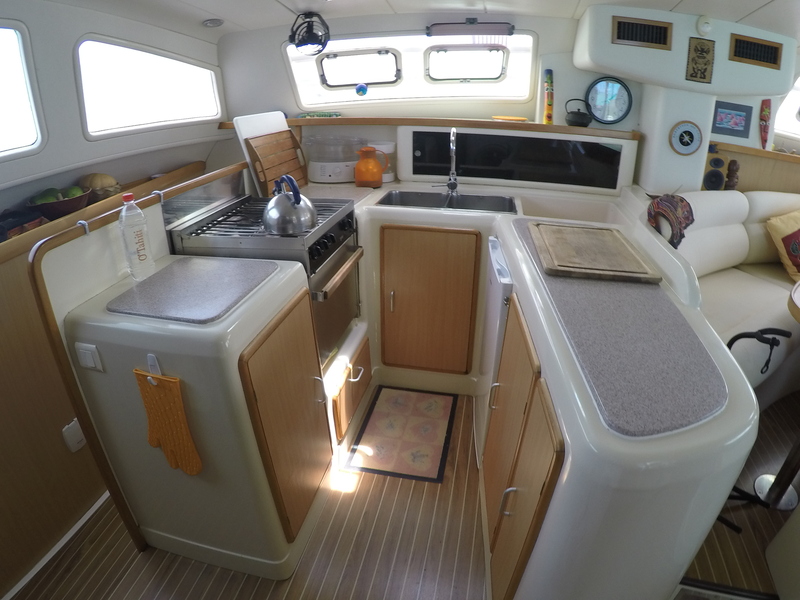 -Double stainless steel sink . 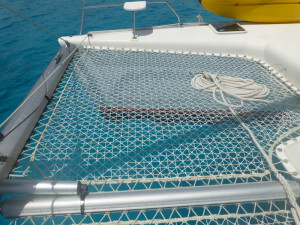 -Dish & cutlery drying recess with drainage . -Cutting board doubles as cover for drying recess. 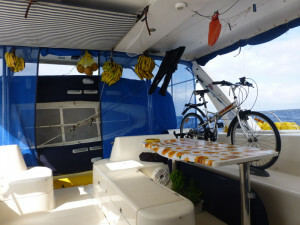 -Spacious SOTERM Fridge + Freezer combo (12V). -Force 10 oven with good ceramic broiler element. 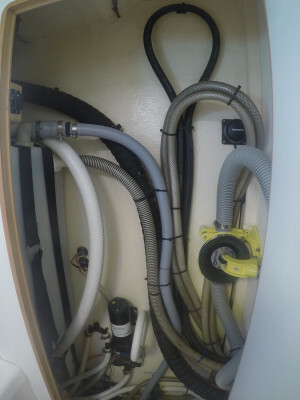 -ORECK Ultra Portable Vacuum Cleaner. 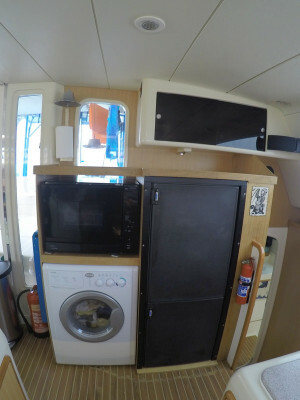 -Gas solenoid shutoff valve with control at switch panel & warning light at cooker. 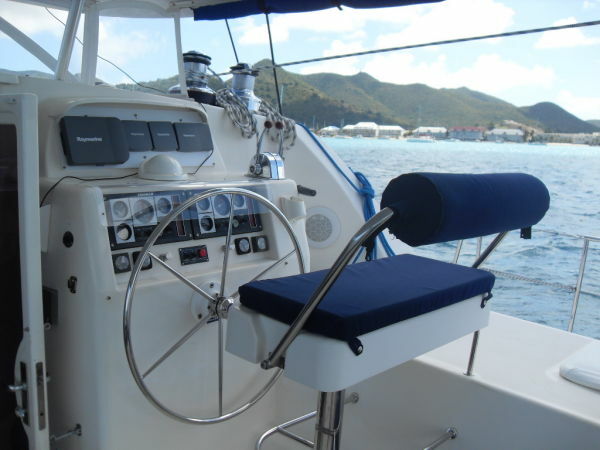 The engines on YUM-YUM have been religiously maintained and used regularly, (which is best for diesel engines, preserves against internal corrosion and guaranties a much longer life). 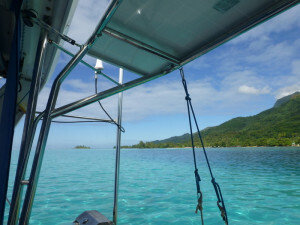 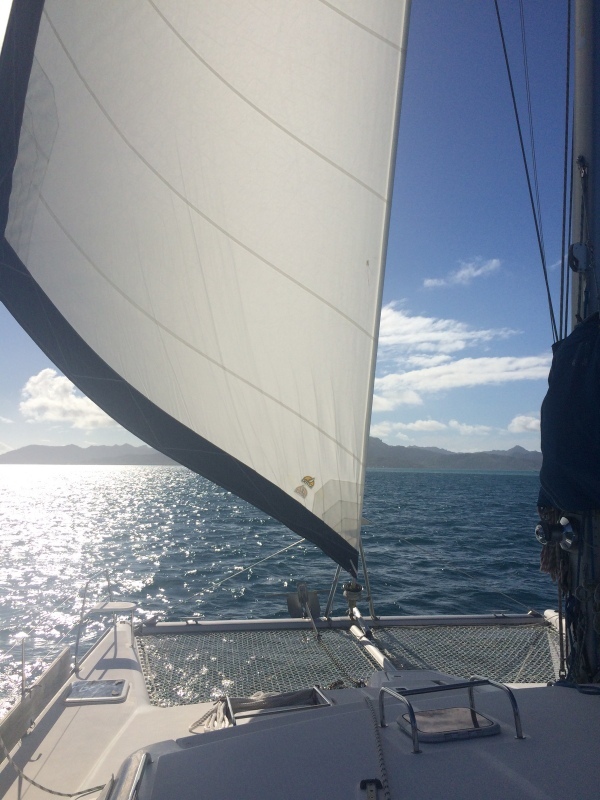 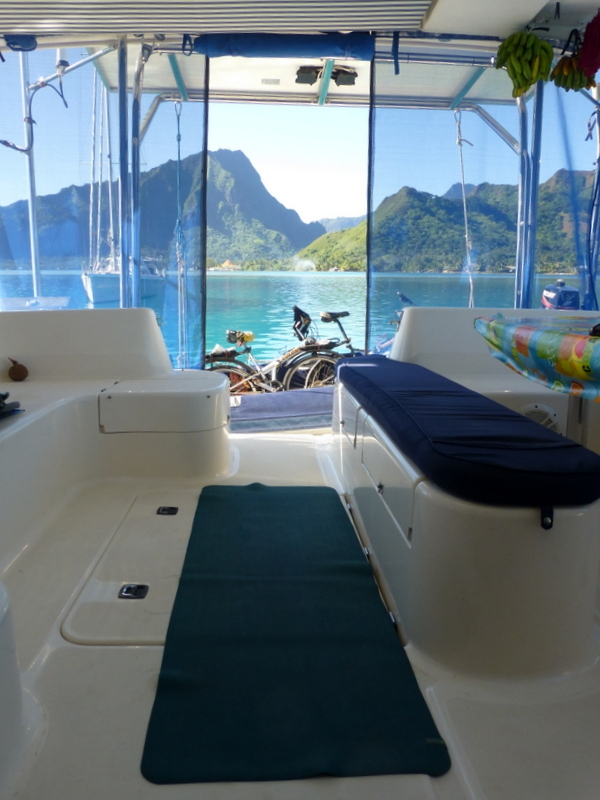 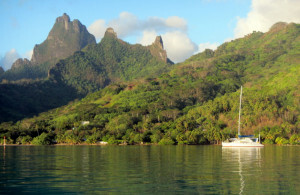 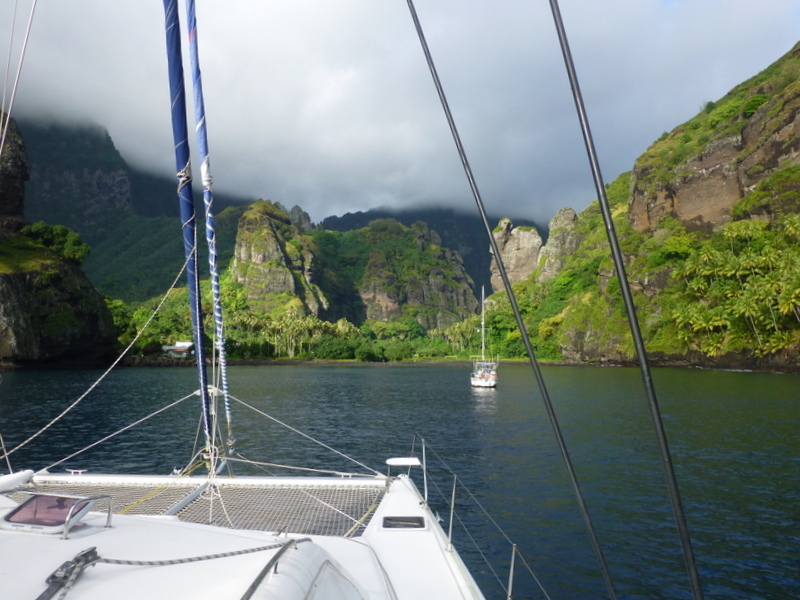 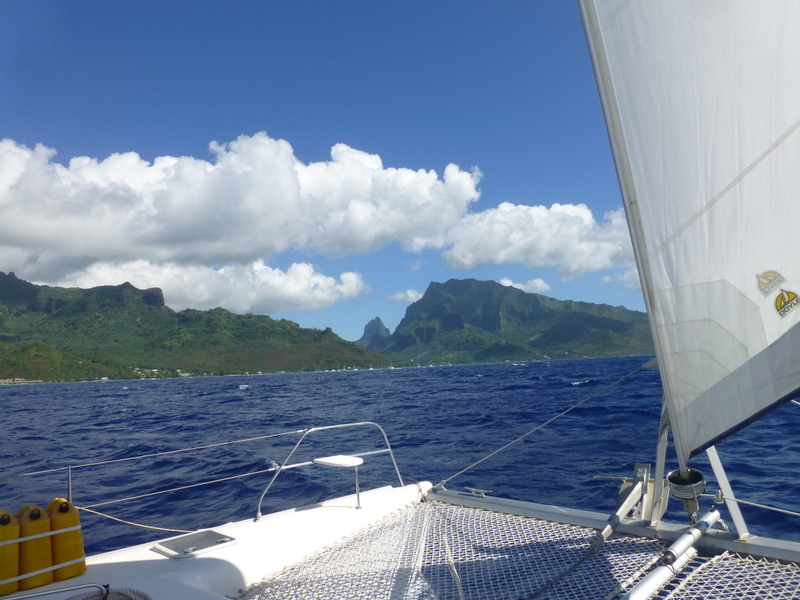 As the owners live on board and rely on them to travel amongst the remote islands of French Polynesia, it is crucial that they remain in A1 condition at all times. In spite of their age (13 years), they show relatively low hours at under 6000h, with the usual overhaul for well maintained sailing yachts being around 10,000 to 15,000 hours, allowing you many years of trouble-free motoring ahead. 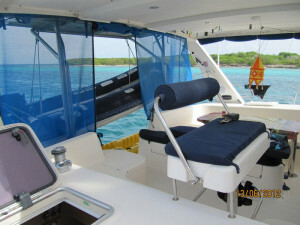 In-depth services, alternating with routine services has been carried out every 100 hours or less without fail. 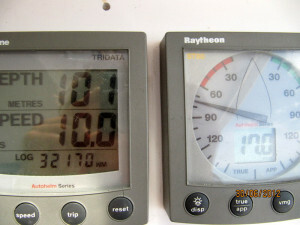 Service records are available.